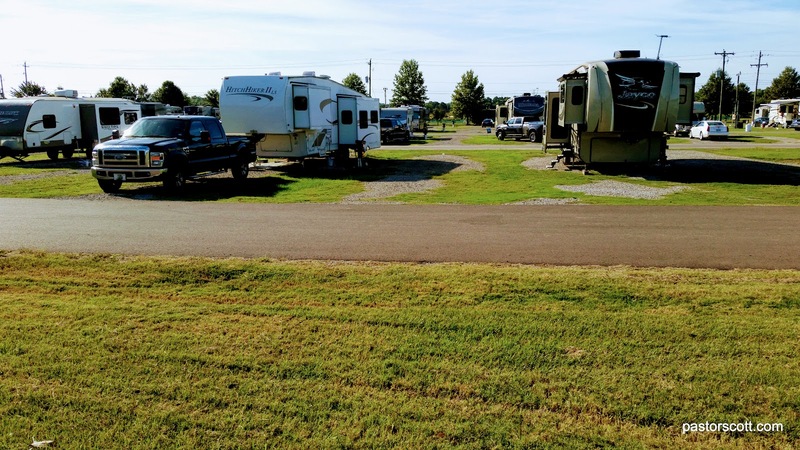 We stopped off for a long weekend stay on the east side of Memphis, TN at the Agricenter RV Park. The Agricenter hosts everything from Agriculture-related education to sports events. During our stay a corn maze was in operation, there was a Harvest Festival with Farmer’s Market, plus an event in the sports arena. 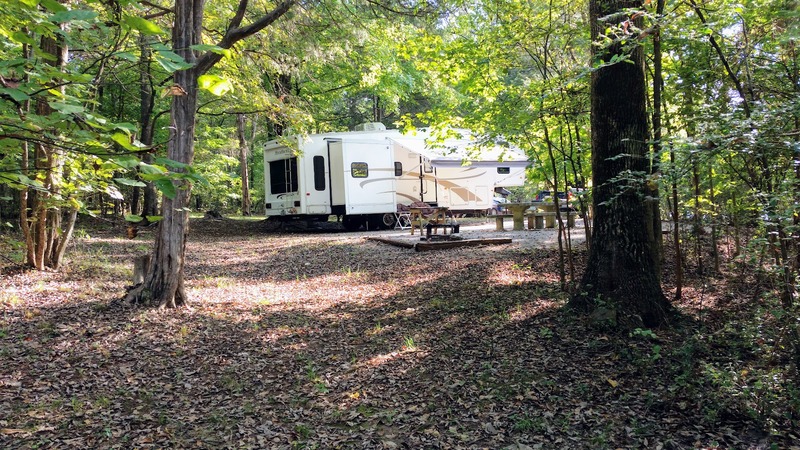 The campground is adjacent to all of this – just a few steps away. Campsites are long enough but very close side to side. To get an idea of just how crowded it could be one only needs to look at the section given over to long term residents. During our stay there was no one on either side of us so we had a reasonable amount of room. I confess that I was a bit concerned when, as I checked in I was cautioned to park fairly close to the power pedestal in case someone needed the site by our front door. Had someone taken that site we would have been face to face with hardly room to put an awning out. Judging from the campers around us, the plan is to use every other site for overnight campers. During busy times, though, the situation would be as crowded for overnighters as it is for long term residents. Campground WiFi was decent most of the time and there’s a cell tower right on the property, giving us full scale Verizon 4G. There are no trees so satellite was easy enough. During hot summer months the campground must be pretty hot. Everything is handy with all kinds of shopping just minutes away. There’s actually a steakhouse on the property and just across the street there’s a well known BBQ restaurant named “One and Only.” We tired the ribs there and I think they were the best I’ve ever eaten. Knowing some of the negatives, I think I’d still return to the Agricenter RV Park – not for a longer stay, but for another long weekend.